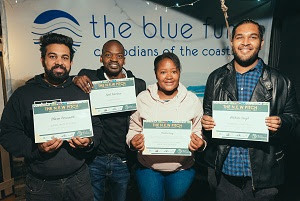 The N.E.W Pitch is targeted towards emerging and student filmmakers in order to provide them with pitching experience and the opportunity to win a production grant to produce a short documentary film in this genre. During the NEWF Congress, the eight finalists will be invited to participate in a pitching session before a live judging panel. Coming out of the pitch session, four winners will be selected to win R50,000 to develop and produce their documentary short. The four winners will have access to mentorship during the production of their shorts. The films need to be completed within a year, and the four films will be combined into a once-off 48-minute TV documentary, which will be broadcast on national television. To pitch for your documentary – register on the NEWF online portal – and enter the N.E.W Pitch competition with all the necessary supporting documentation. Visit www.newf.co.za to enter, for submission requirements, guidelines and more information or visit the NEWF Online Portal to enter now. For more info email info@newf.co.za or contact Pragna on 064 294 0669.